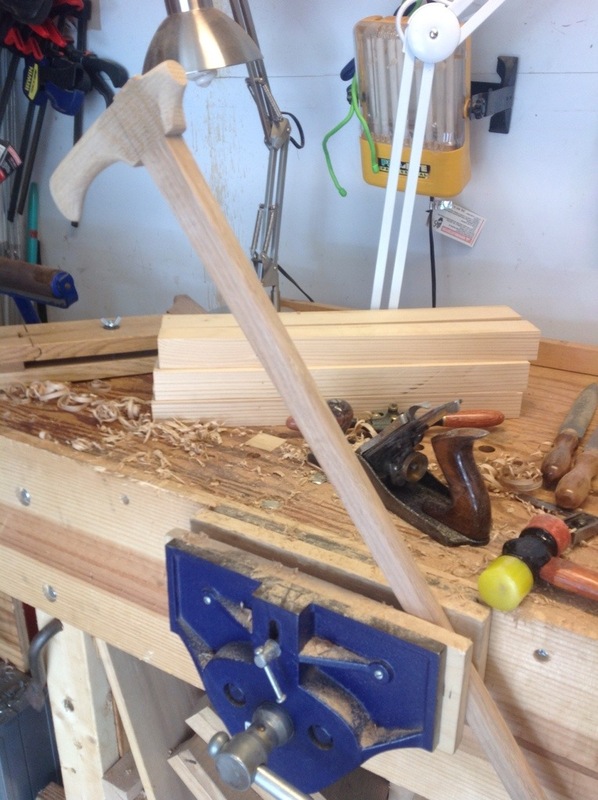 The walking cane is the only project I can think of that uses a single mortise and tenon joint. 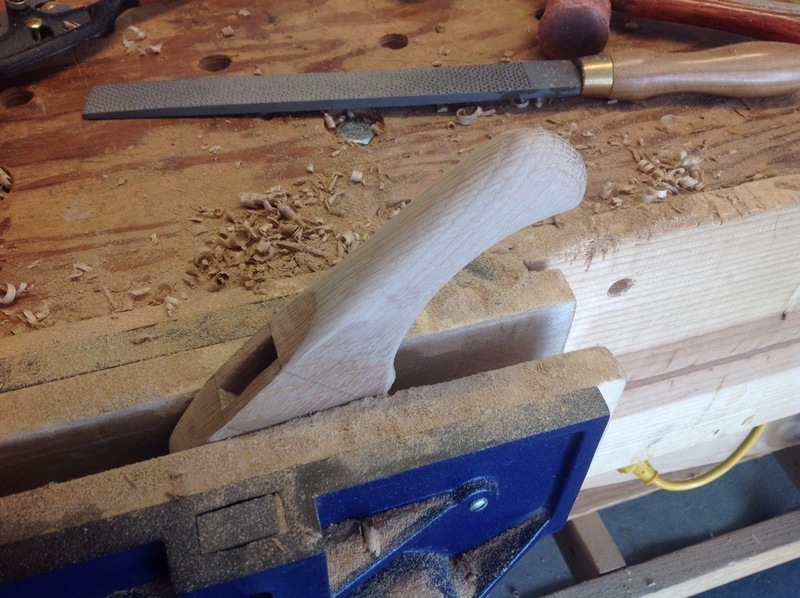 It is however a very visible joint and can add or detract from the cane. 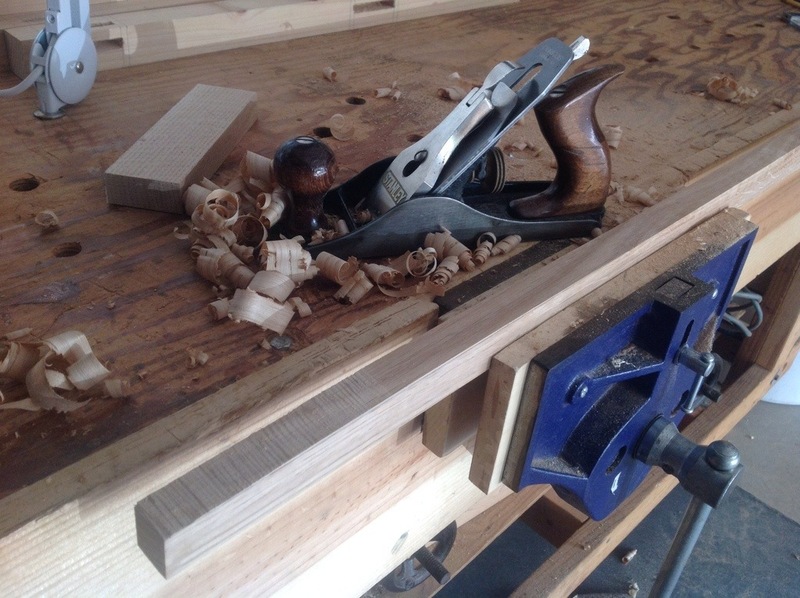 Since finishing the mortises last week, I suppose the next step is cutting tenons and since I have taken very few photographs you will just have to trust that it was hot, humid and I did them all myself without any help. 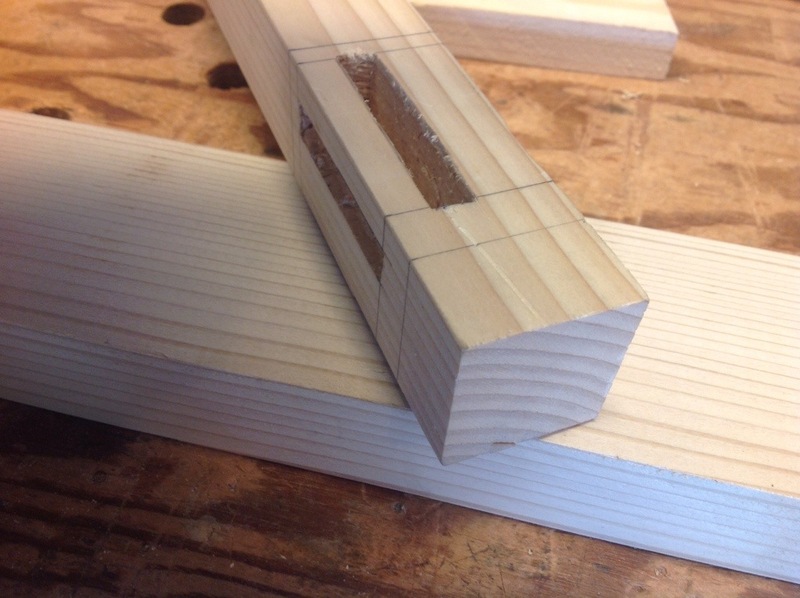 There were many good comments on my blog after the post showing the blow out in the leg while chiseling a mortise. 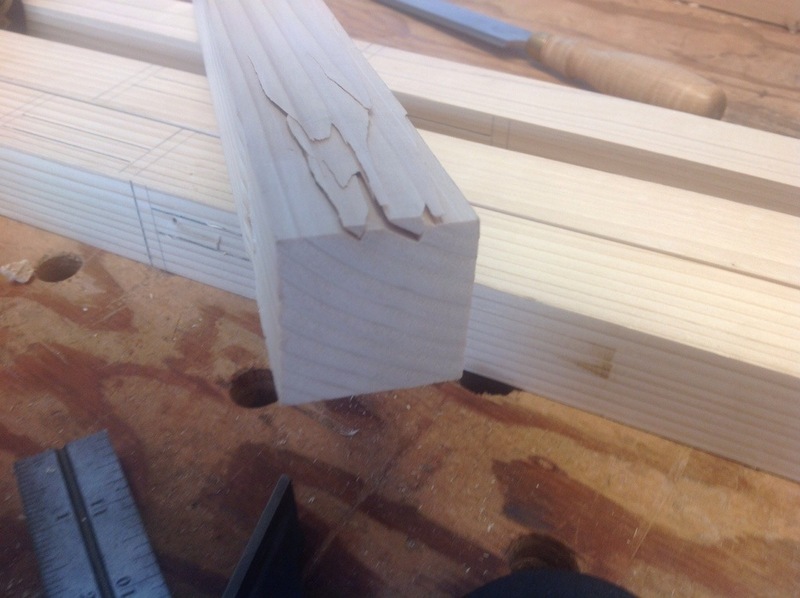 Fortunately this occurred on the first leg, although the last mortise. 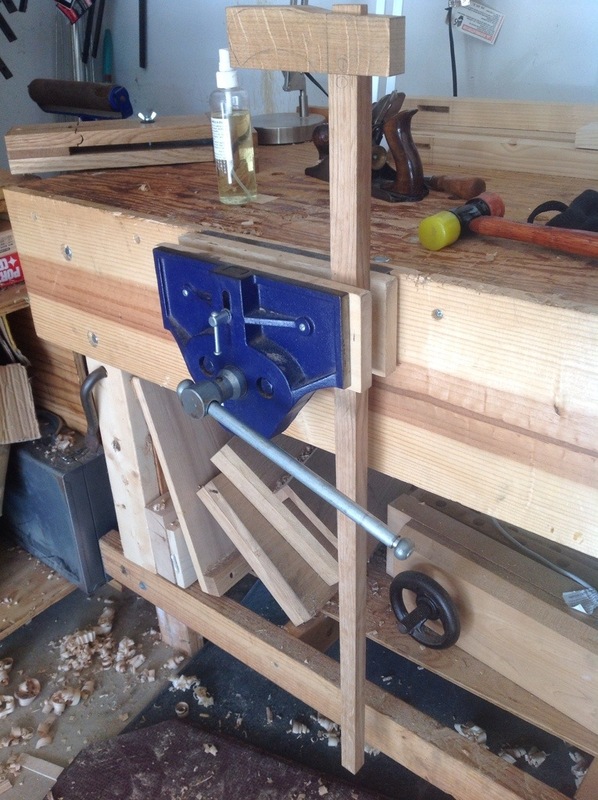 While studying the problem I came to the realization that I needed to re-think where the mortises were placed. 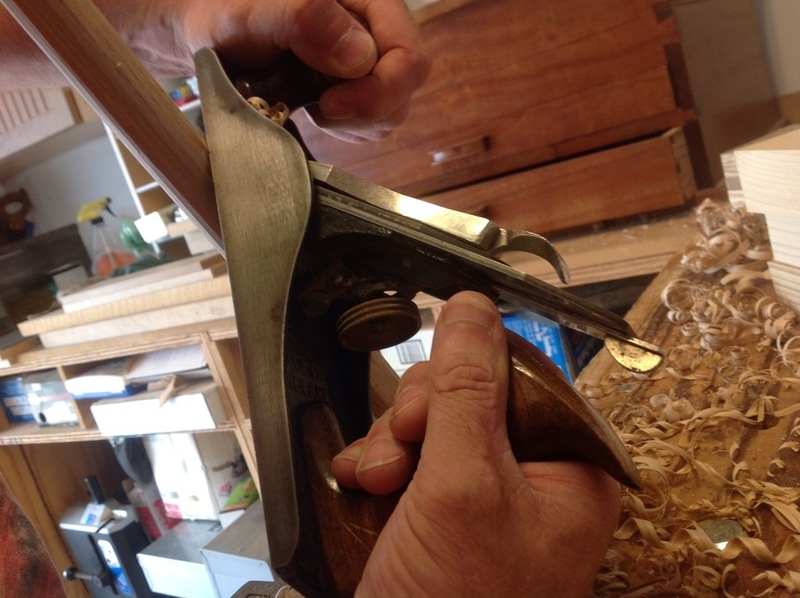 The first picture shows the original mortises. 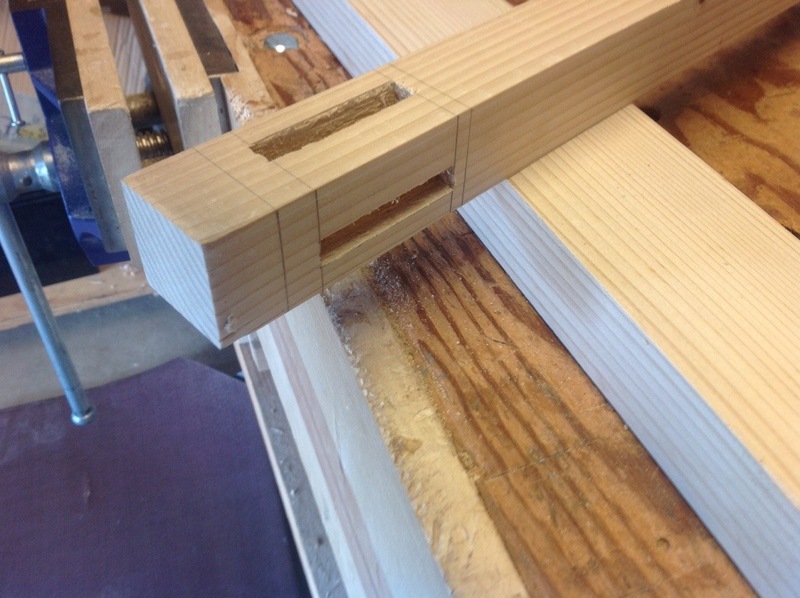 they are placed on the same corner and as such do not allow for a very long tenon. 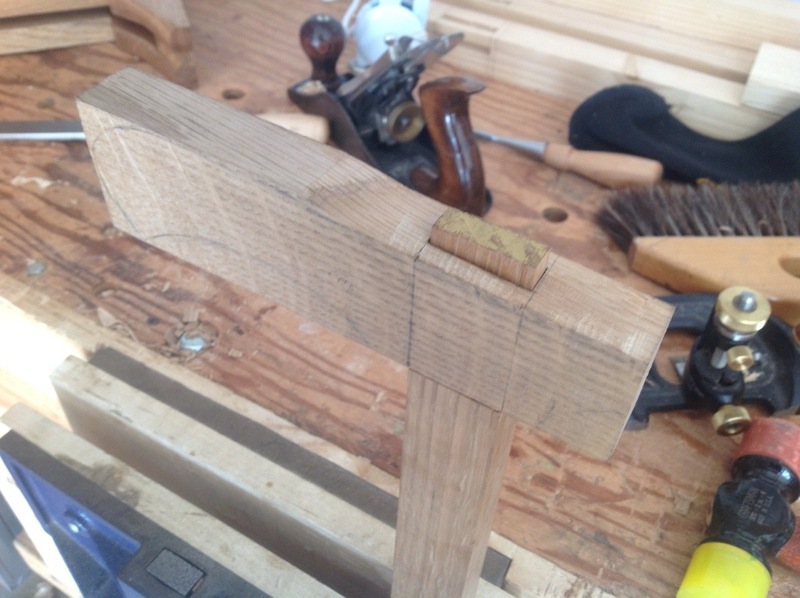 Since this is a shop stool it will be subject to lots of abuse and I don’t think it will last long with such a short tenon. 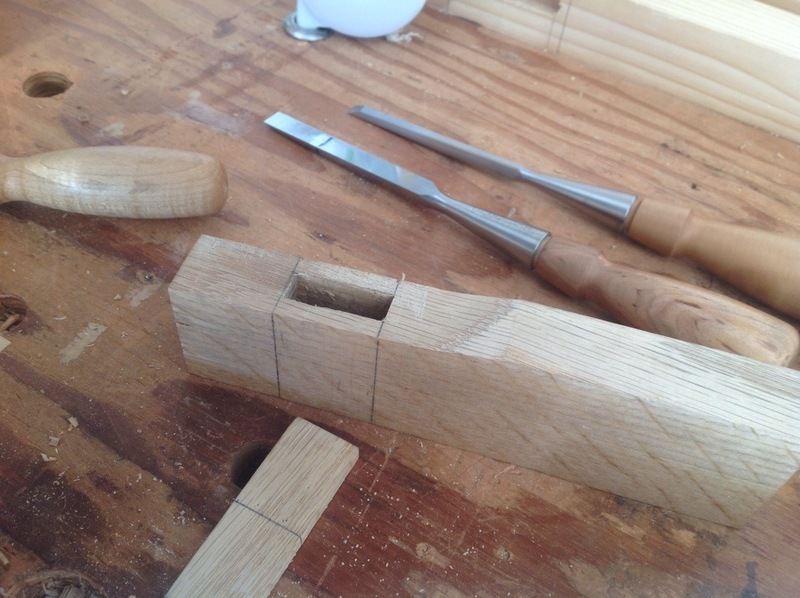 The picture below shows the relocated mortises which has tripled the length of the tenons. 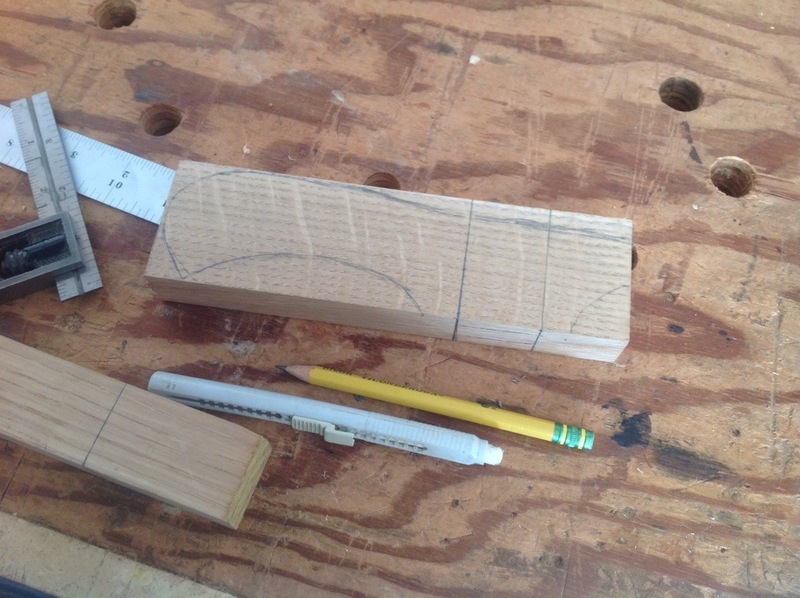 Thank goodness for the mistake, I only ended up re-wroking one leg not all four and will have a much stronger stool. 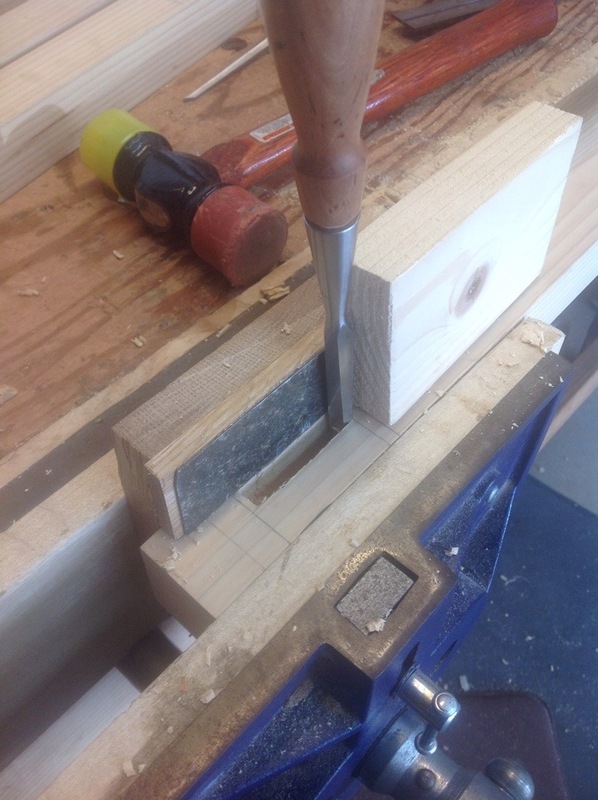 Finally I have the opportunity to make progress on the stool. 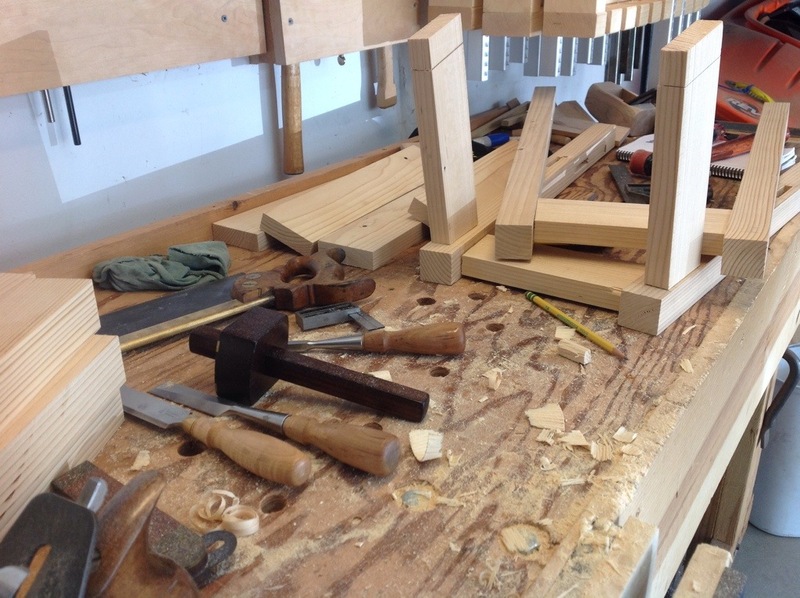 Taking the time to carefully lay out the angle and mortises, I begin to chop out the joints. 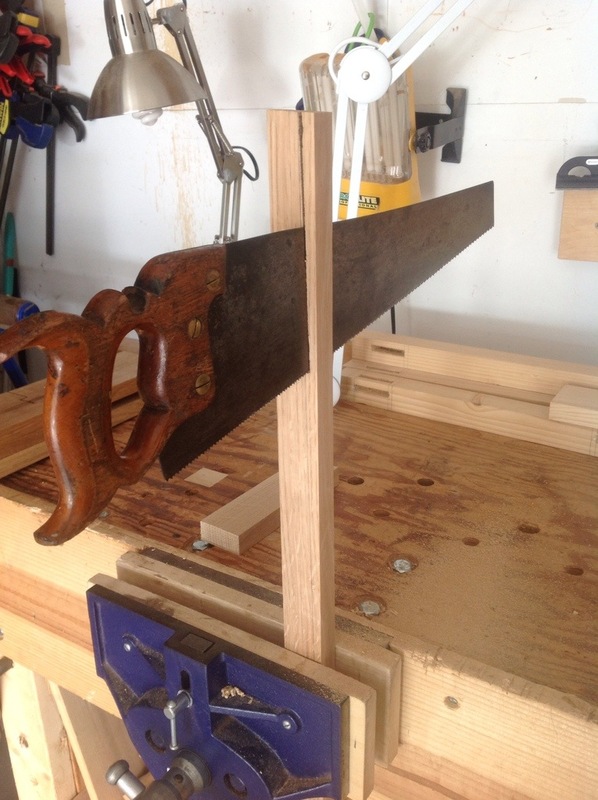 There are two jigs that I am using to hold the correct angles shown in the picture. 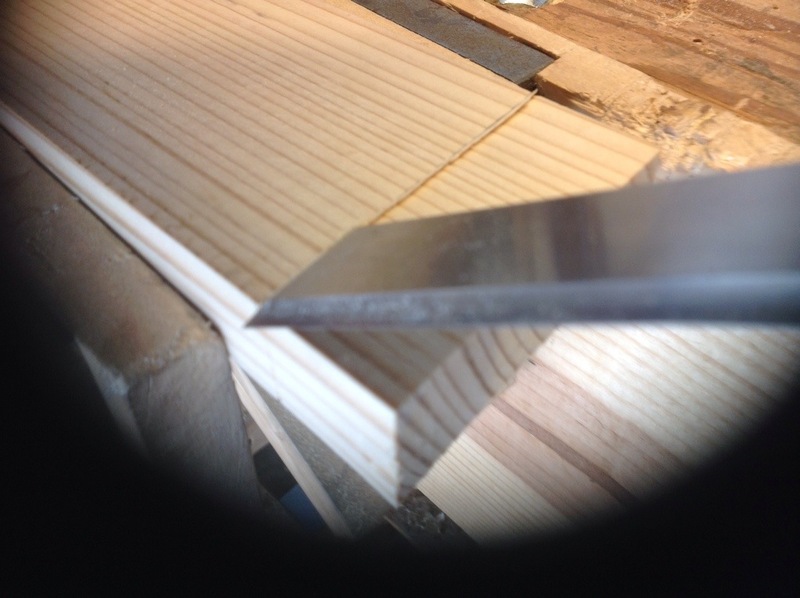 I almost finished the last mortise on the first leg when I heard a crunch and felt the chisel drop. 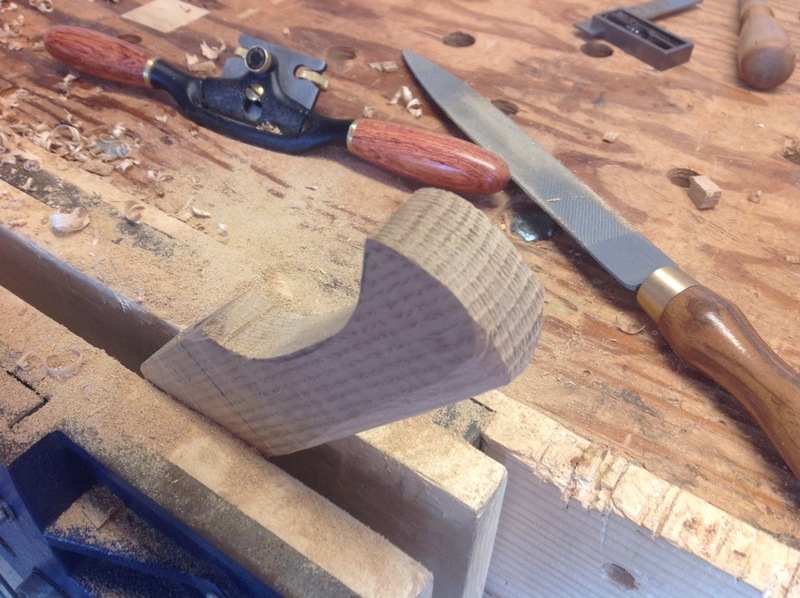 A groan rose into my throat as I thought that I had chiseled through the leg. 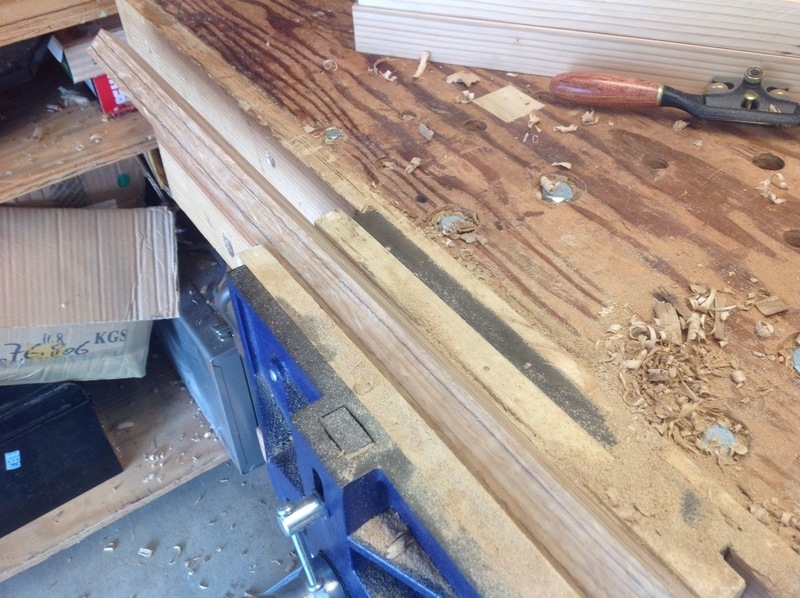 However the wood split along the grain, something that I can hopefully repair with a little glue and clamps at the end of the day.